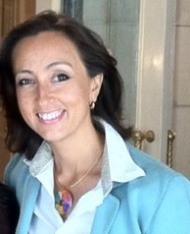 Personal energy management for executives is my passion and specialty. 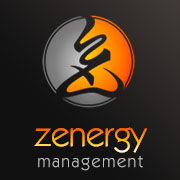 Zenergy increase mental capacity, presence, and calm in executives working under high pressure. As their condition impacts their team I find this training essential for anybody who leads or serves others. The Zenergy methods are based on Neuroscience for Leadership and ancient Japanese wisdom of managing motivational energy, to improve individually as a leader and as teams. I was trained by very high-level spiritual masters since childhood and am certified in Neuroscience for Leadership at MIT Executive Education, Licensed in Brain-based Leadership Assessment, and certified with distinction in Foundations of NeuroLeadership at the Neuroleadership Institute. My unique offering is that I have adapted and integrated modern science with ancient methods to suit the executives of the modern, high demand work-style. TetraMap gives me a wonderful tool to let clients experience the dynamics of energy in teams. The TetraMap module fits perfectly into the third step of the Zenergy program related to Engagement. It especially adds value as the four elements explains the different personality preferences and what motivates each one differently. Through the Zenergy programs I have experienced deep development from a physical, emotional and spiritual perspective. I think that ‘Zenergy’ should flow in the bloodstream of an organisation’s culture and engagement strategies; this is what people need most today.